Sage has been used to control dandruff and minimize hair loss. An infusion can be made, cooled and then brushed through the hair and scalp every night. Mixed with henna, it was used to color the hair and cover gray. Sage was added into skin treatments to soften and tone the skin. Hot compresses were used to soothe itchy skin and reduce swelling from bug bites. The herb also has antiseptic, anti-inflammatory, antibacterial, astringent, and antioxidant properties and was used in skin and hair preparations to treat acne and seborrhea. 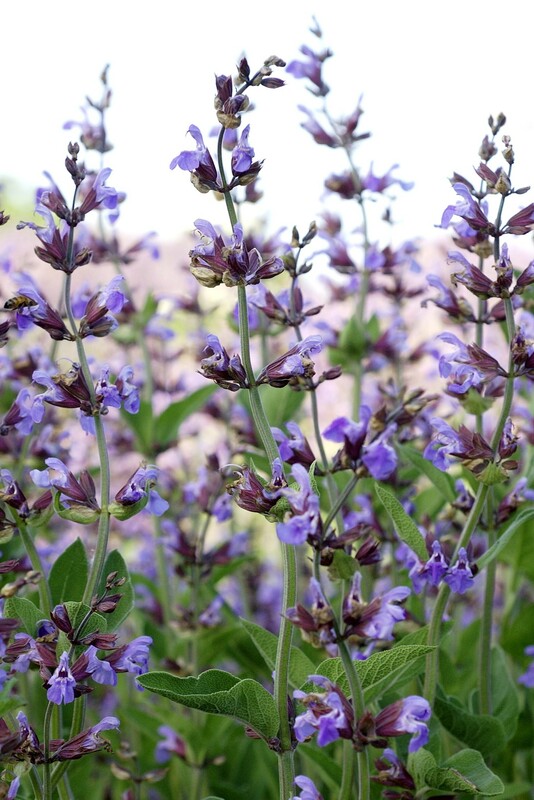 Sage, used aromatically and topically, was used to aid digestion, cramps, flatulence and other intestinal discomforts. Sage was also used for regulating menstrual cycle and alleviating night sweats during menopause. Sage is said to increase mental capacity and longevity. Sage oil and extracts should not be used by women who are pregnant or nursing, and should not be used on young children. Sage Essential Oil should be diluted before use.